FINALLY ... my last UFO, my very last, whoooohoooo. I had been thinking about this skirt for a long time. 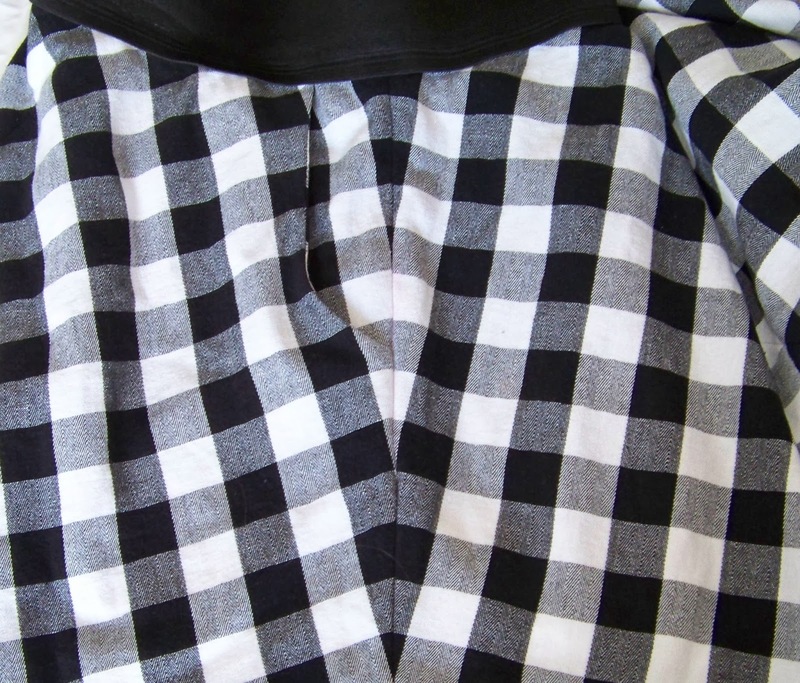 It's is what would happen if Tilly's Picnic Blanket skirt would have a baby with Julia's elastic fantastic skirt :-) I would have done Tilly's skirt just as is, but it is a gathered skirt and I don't think this particularly suits me. 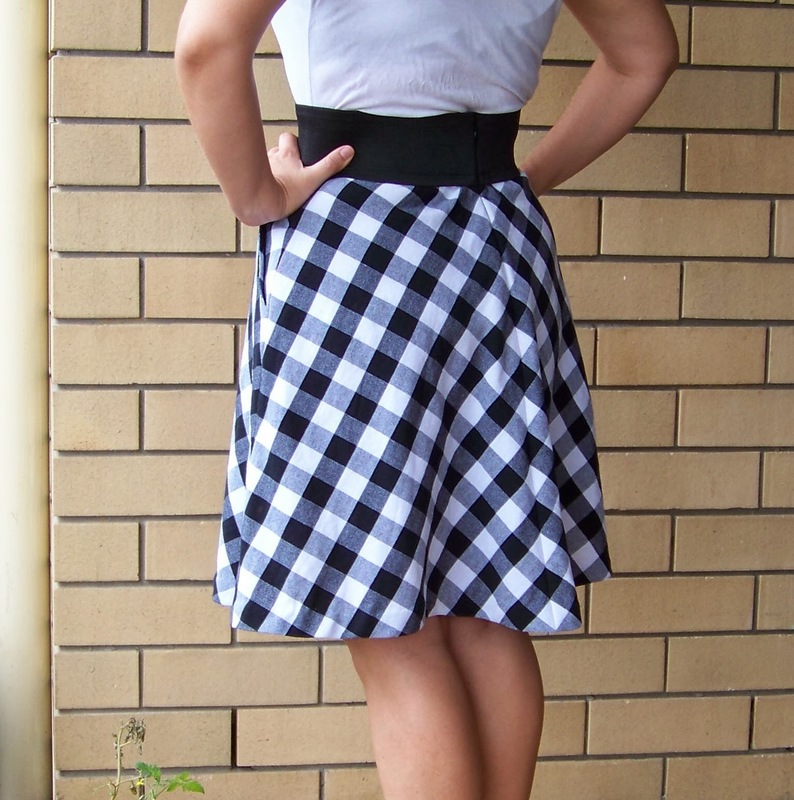 Gathered skirts make my bottom look HUGE and cause disproportionate envy at Tilly's lithe body. I do love the idea of using belt elastic as a waist band, just to have that extra stretch, and it was very easy to do. The fabric was a birthday present from my sister and it's a loosely woven cotton with quite a bit of drape. 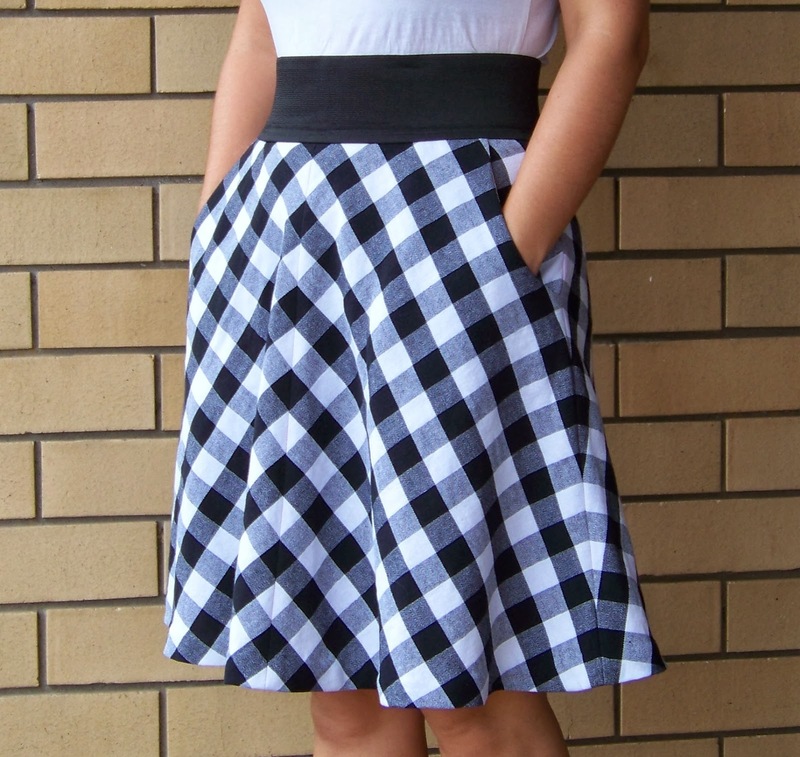 So when Sewaholic's Hollyburn skirt came out I thought I would be able to make something. That something turned out to be slightly more involved then I had originally thought. 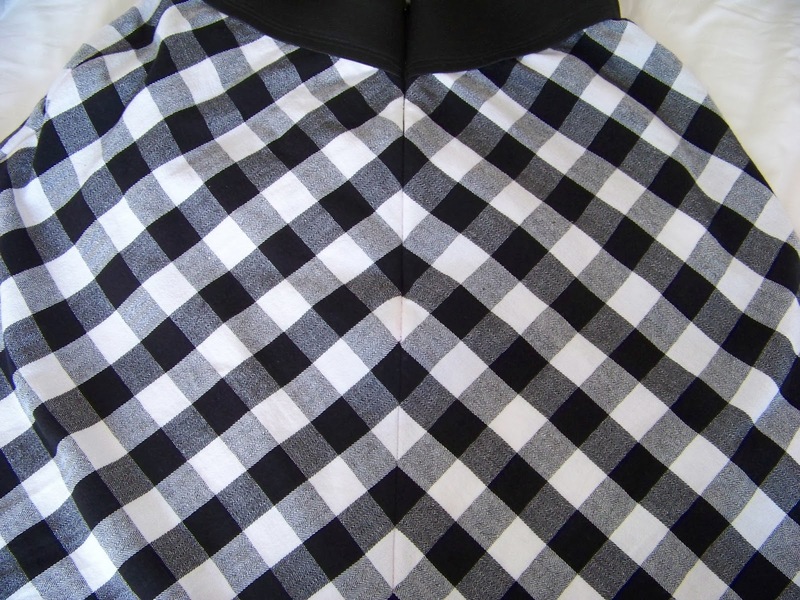 This skirt put me into check a couple of time, in fact, at some point I thought I was in check mate and put it to the side for maybe 9 months (invisible zipper into the bias cut back with the matching of the chevrons). It was started for the Hollyburn Sew-along in Jan/Feb last year ... sigh. It's cut on the bias for the chevron effect with plenty of hand-basting to make sure it all lines up correctly ... all seams where basted at least twice, because I kept stretching it accidentally. The back was the hardest to get to match up with the zipper and everything, and it is where I stopped back in February last year out of fear for doing it wrong. In the end I just told myself that having it slightly mismatched is better then no skirt at all and you know, it is not too bad actually. I interfaced the area where the zipper is to stop it from stretching, but the insertion was still nerve wrecking. I can tell that it is not perfect where the zipper is, but overall it is not that noticeable. I left it to hang for 4 weeks and it relaxed quite a bit (2 inches in some places). 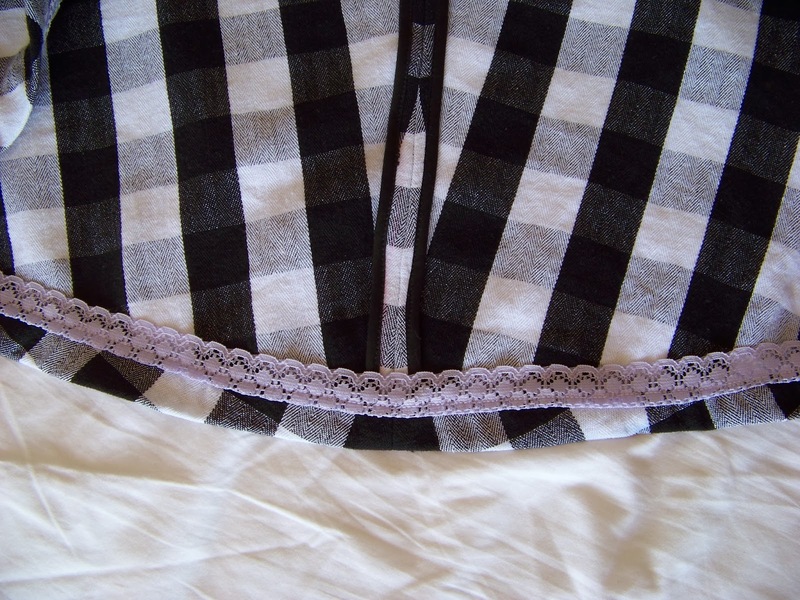 I evened it all out and finished it off by hand-stitching the hem with a little bit of purple lace I had laying around. What a gorgeous skirt. I bet you will wear this a lot. Your skirt is gorgeous! Thanks for telling me about it. I really love the idea of replacing the waistband with elastic. Looks so comfy! 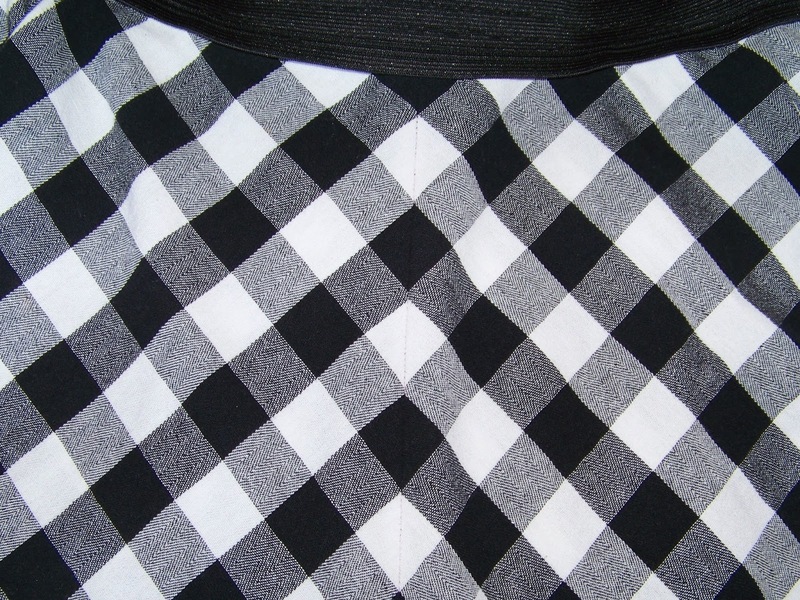 Also, enviable pattern matching on those seams! Great work!